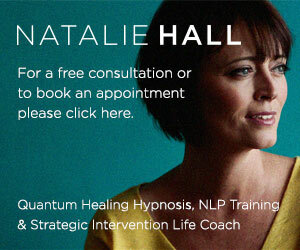 Achieve outstanding lasting results very quickly with Hypnotherapy. It only takes between 10 and 21 days to CHANGE ANY HABIT. You can experience a potent shift into an expanded new gear and change your basic nature to respond to life rather than react to it and because of this internal shift, you will intuitively make better decisions. Naturally generate a high self esteem and an inner confidence that radiates from within. Change your mindset by implanting suggestions directly to your subconscious mind. This works on your confidence and self esteem, by using language patterns that cause the mind to accept these suggestions. We each hold the power to change anything in a moment, and experience more joy and fulfillment in our lives just by changing the way we think! Understand how what you get in life is influenced by your relationship to time – past, present and future. You can stand back and see things from a different perspective. Come to your own realisations at a very deep level, this delivers lasting change in the shortest possible time-frames. Hypnosis is more familiar and natural than you may have realised, we go into a light form of hypnosis every 60 seconds whilst processing information through our senses, it feels like a daydream state where we are highly suggestible, we also experience hypnosis at night just before we drop off to sleep when REM starts and just before we awaken in the morning. Ultimately it is the most relaxing enjoyable feeling. What can I expect in my Hypnotherapy session? I keep up to date every year with new advanced personal change courses that I build into my practice since first qualifying in Advanced Hypnotherapy in 2004. Dynamic therapy happens with your one-to-one session or via Skype, you will have written support, personal development processes to take with you and repeat replacing any old habits with new ones and also your own personal hypnotherapy recording. I offer double the standard time in the first session. Within this two hour session I usually combine advanced processes of NLP with advanced Hypnosis to affect long term desired change. and please view the extensive list of other topics I can cover. Please get in touch for your free initial telephone consultation. One-to-one Hypnotherapy sessions are available in Bournemouth, with local clients travelling from Poole, Bournemouth, Christchurch & the surrounding areas of Dorset & Hampshire.